One of the most recognizable Chicago's land mark location is crossing of Michigan Ave and Wacker Drive right at Michigan Avenue Bridge. 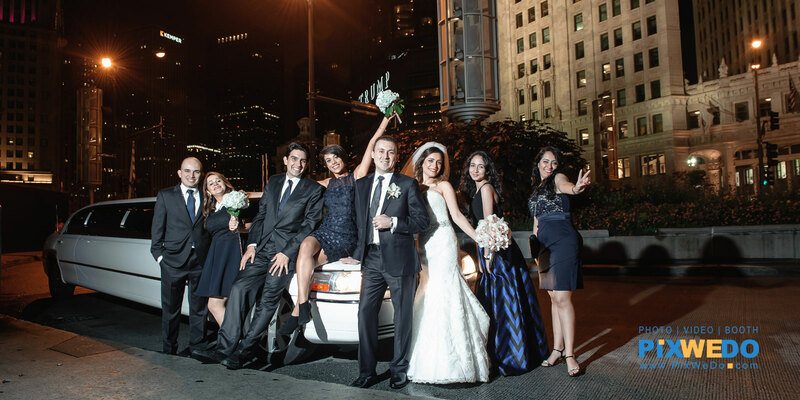 If you are planning wedding day photo-session and have some urban style or Chicago landmark background pictures in your mind this location for sure will be "must" to stop by place for your wedding party pictures. 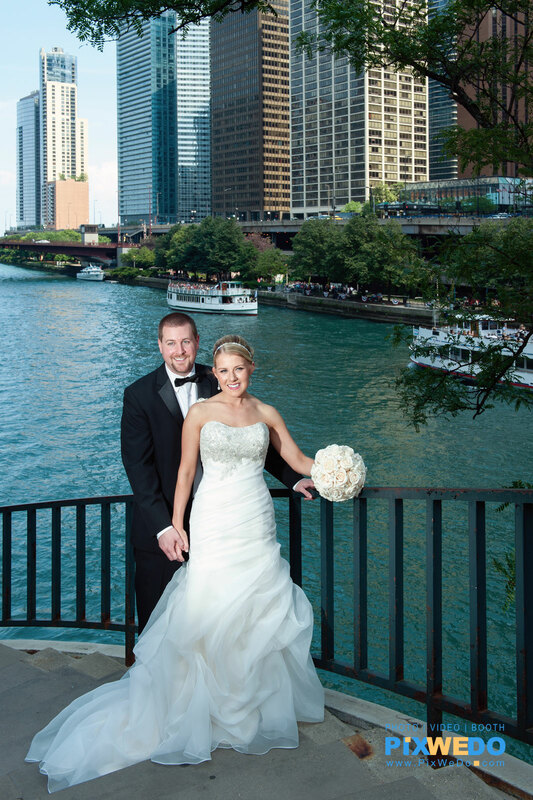 One of the unique feature that sets Michigan ave and Wacker drive apart from others is a variety of views for wedding pictures you can get simply pointing your camera to different directions. Located just above the Chicago River it brings an additional dimension to the traditional urban/architecture view to the pictures. Just look around: The Wrigley Building, Chicago River, Michigan Avenue, Intercontinental Hotel, Hyatt Regency Chicago, Lower Wacker Drive with nice river walk. All that will be perfect set for your photographer to work with couple or large group of people. There is a beautiful lower level bridge if you prefer some industrial wedding look pictures so popular this days. Most important aspect is that Chicago River at Michigan Ave Bridge and Wacker Drive will be 4 different sets of pictures at one location. If your wedding day schedule is tight this place will save you a day by eliminating travel time from one location to other. Traveling from one wedding pictures location to another in downtown during Saturday can be a killer. So keep it in your mind or better talk to your photographer about travel time and locations.